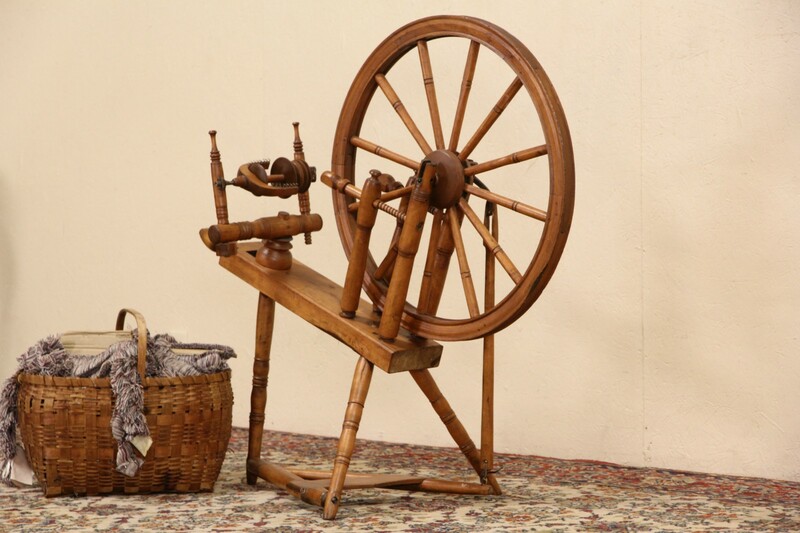 A maple spinning wheel from the late 1800's appears complete and in working order, but we have no skilled spinner to be certain. The wheel itself is 26" in diameter. The overall dimensions are 42" wide, 20" deep and 39" tall. Shipping can exceed the price of the piece, store pick up is recommended.